Apple's latest quarterly results revealed that iPad sales are declining, but things could change this week. The 12.9" iPad Pro is about to go on sale this Wednesday (November 11) in more than 40 countries. There will be no pre-order period, the XL-sized tablet will be available immediately at online Apple stores and expand to select retailers and carriers later this week. The US prices start at $800 for the base model (Wi-Fi only, 32GB storage) and you'll probably want the $170 keyboard and $100 Pencil. 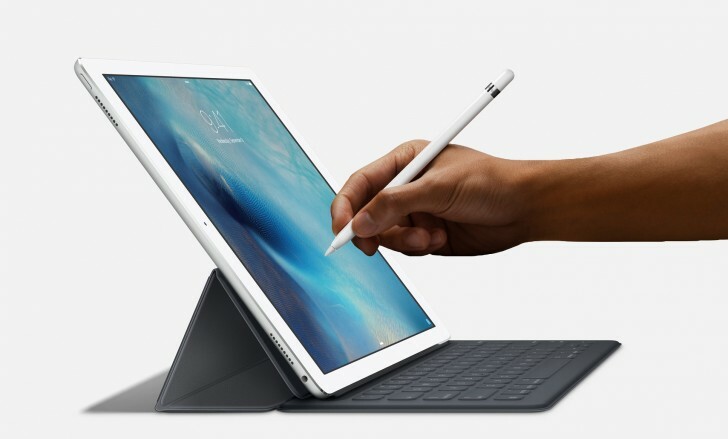 Those are the first Apple-made tablet keyboard and stylus and put the "pro" in iPad Pro. An LTE version of the tablet will be available too, of course. The Apple iPad Pro is going up against the 12.2", stylus-packing Galaxy Note Pro 12.2 from last year but also the enormous 18.4" Galaxy View that launched on Friday.